Melt butter in a medium sized saucepan over medium heat; whisk in cream and bring to a boil. Remove pan from heat and stir in chocolate chips until melted and smooth. Chill saucepan in refrigerator for 1 hour, or until chocolate is solid and able to be rolled. 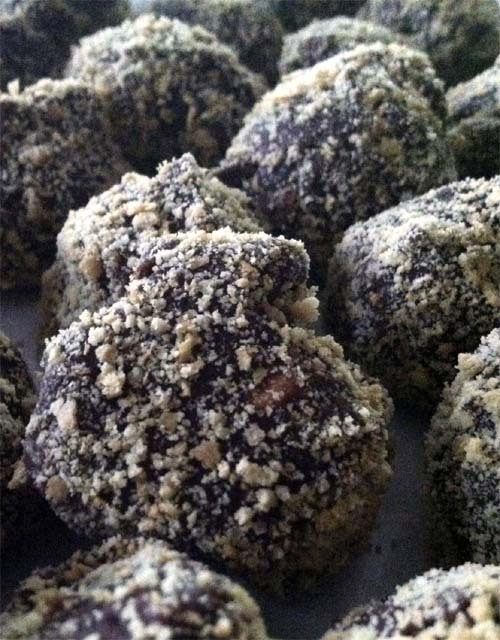 Chill truffles a few minutes then roll in graham cracker crumbs. Chill for a few minutes more to solidify more.